Another brand overview from @stylekorean_global , 23 Years Old focus on age prevention and anti-aging to keep the skin looking 23 years old. Black Paint Rubar Cleansing Stick - This is my first experience of a stick skin care product, it's so fun! I use this a couple of times a week almost like a mask: paint it on and leave for a minute then use my Foreo Play to work it into the skin and rinse. The reduction in congestion is immediately noticeable and makes my skin feel so clean, this is great every day cleanser for oily skin and as a treatment for drier skins when you need some clairty to the skin. Cocoon Gold Silky Mask - Containing Soyabean Ferment and Silkworm extract this sheet mask repairs damaged skin, maintains your skin barrier and replenishes moisture levels. I love silk masks because they stick to your skin like glue and this particular mask left my skin feeling amazing for days, like i'd had a facial and has made it in to my top 5 sheet masks after one use. Aqua Bab Modelling Mask - I love a modelling mask, I feel like a facialist mixing and applying them. This is a soothing and moisturising treatment and the pack contains 5 masks. You mix the essence with the crystal gel powder and apply, I love how cooling it feels when you apply and although it sets, it feels wet on your face due to all the essence it contains. After removal you're left with plump, calm, glowing skin. Badecasil P-Original - If you're in need of some resurfacing this cream is packed with glycolic acid and their bioDtox complex which inhibits the formation of free radicals and boosts collagen. I have been using this on my neck and chest and have seen a real improvement in the texture of my skin and I am prone to little spots on my chest but I haven't had any since introducing this to my routine. Overview: The Tiger Cica range from It's Skin is based around the ingredient often known as Tiger Herb, Centella Asiatica is a medicinal plant known for treating skin irritation and soothing red sensitive skin, it is known as Tiger Herb because tigers roll around in the plant to help heal their wounds. Tiger Cica Calming Water: A water like essence that layers perfectly and makes your skin glow, I love applying before a mask to seal in the hydration and soothing effect. also side note, this contains 80mls rather than a standard 30mls. Tiger Cica Gel Cream: A comfort blanket for the skin, gel creams are taking over due to their ability to hydrate the skin without leaving it greasy or oily, I love using this in my morning routine as it leaves my complexion plump, smooth and ready for makeup. Tiger Cica Tone Up Cushion: My first cushion experience, although there is a BB cushion in the line this Tone up Cushion is a hybrid of skin care and a makeup primer. The SPF 50 PA++++ is very effective applied to the skin in this method as you push it on rather than rub a little bit around, this leaves your skin with such a lovely sheen that translates through your makeup but doesn’t make you at all oily. Overall Thoughts: When I started using my adapalene (prescription Retinoid) I was left with a lot of irritation and redness, although it does improve overtime, I am convinced that within a week of introducing this line of products to my routine they repaired my compromised moisture barrier and retinization. 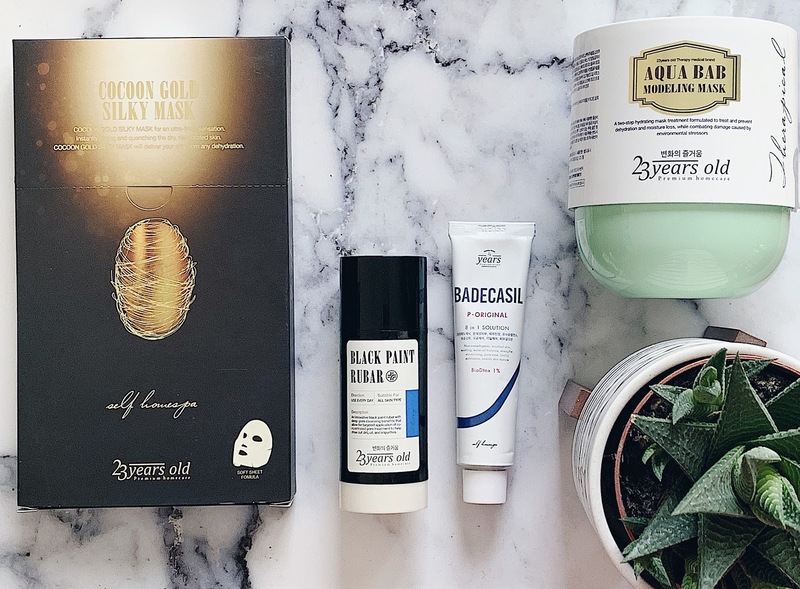 The products are affordable (especially when @stylekorean_global have offers on) they fit effortlessly into your routine and really make a positive difference to the overall quality of your skin. I know it shouldn't matter but the packaging is lovely (swipe to see the outer packaging) and I love how lightweight the range feels so the ideal products under makeup or if you're more prone to oiliness.